There has been amazing growth in mobile internet access over the past few years and Africa is now primed to take advantage of the social and economic opportunities that mobile can bring to people across the continent. While connectivity is on the rise some challenges still remain for development, adoption and growth of the mobile ecosystem. Here Andrew Fassnidge, founder and editor of pan-African news and events website, Appsafrica.com discusses in more detail what those challenges are. His full commentary along with insights from senior executives at Mahindra Comviva and Mondato as well as African market stats and news analysis can be read in MEF’s Regional eBulletin – Africa Edition, which can be downloaded for free now. The race to offer cheaper smartphones in Africa has dramatically increased with the launch of the Android One program in Africa and introduction of Mozilla’s Cloud FX, however the price of devices is only one part of the solution to get mass adoption of usage and services. A lot more needs to be done to get cheaper phones to market while also ensuring they can actually be used, by making data more affordable for everyone. Over 80 per cent of mobile users in Africa do not use data which is a huge challenge in bringing mass populations online in Africa. 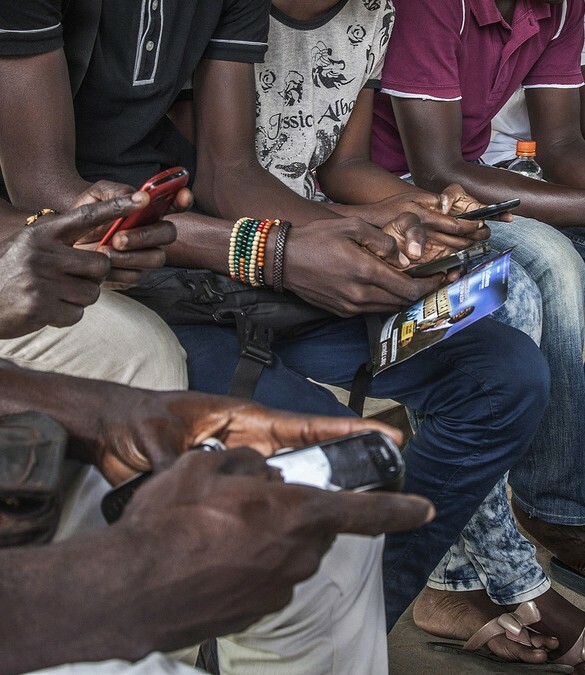 Affordability is holding back internet penetration with only 23 per cent of mobile phones connected to the internet in Africa by the end of this year according to the Internet Society. In Ghana for example only 17 per cent are using the internet in urban areas mainly due to the fact that it is too expensive (Alliance for Affordable Internet). With the majority of Africans unbanked, mobile money and payments are critical and one of the biggest hurdles for adoption of services across Africa. Mobile money adoption in Kenya flourished with a dominant MNO led rollout by Safaricom of MPesa which now boasts over 20M subscribers. That level of adoption has not been replicated widely elsewhere. In Nigeria for example the adoption has been much slower with Paga a leading local mobile payments provider having only 2M subscribers to date. In the early days of ecommerce in Nigeria, the two leading platforms, Jumia and Konga, experimented with electronic payment but they did not record appreciable results. Their major break for them came when they bought decided to introduce pay-on-delivery feature that allows online shoppers to order goods and only pay for such at the point of delivery. New innovations including Bitcoin are gaining traction in Africa, for example BitPesa which utilises Bitcoin to reduce cost of international remittances. Bitcoin is nonetheless still in its infancy, and remains a novel concept which stands some way off widespread adoption among local populations in Africa and has already seen some casualties. Problems however drive new innovative solutions and this year the Appsafrica.com fintech finalists VCPay, SimbaPay, Verifone, Mergims, Masterpass and LipaPlus are all striving to drive adoption of payments and remittances using mobile. As the acceptance of cashless electronic payment improves, growth will dramatically increase for mobile based services and the ecosystem as a whole. Only 12 per cent of Africans have access to any sort of tertiary education, and almost none of it is in software development. Education is critical for the continued growth mobile and tech start-ups in Africa. Many tech ventures in Africa bemoan the fact that local talent is not yet sufficient to build scale large tech businesses on the continent. However great strides have been made recently to build the next generation with digital skills who will form a significant part of Africa’s future. Cape Town-based Project codeX, a Social Impact finalist in the Appsafrica Innovation Awards runs programming courses with the aim of addressing the lack of trained developers in Africa. In Nigeria, Andela is tackling unemployment on the continent by training a generation of highly-skilled young developers. In Ghana and more recently Kenya, Meltwater Entrepreneurial School of Technology (MEST) provides training, investment and incubation to aspiring high tech entrepreneurs in Africa. The iHUB in Kenya, the original pioneer of the innovation space in Africa along with other hubs, universities, investors and private sector companies across Africa are essential for the continued education, funding and growth in the mobile ecosystem across Africa.